My history with the Xeno franchise has been a very long one, spanning almost 20 years now. 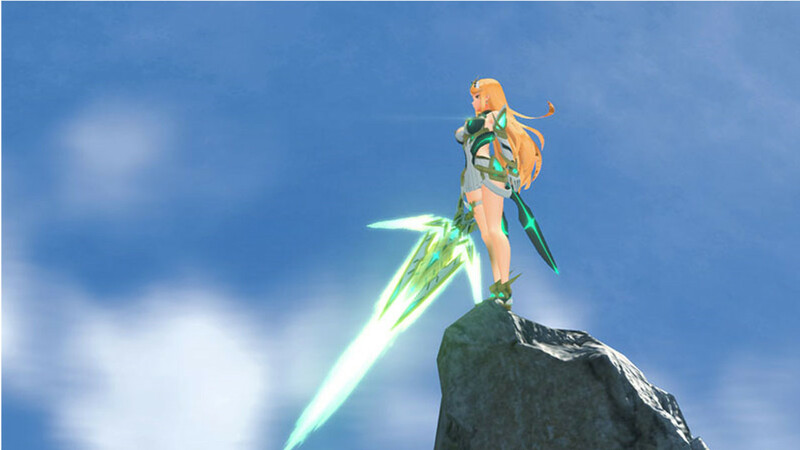 In that time there have been 7 releases in the franchise: Xenogears, Xenosaga Episode 1: Der Wille zur Macht, Xenosaga Episode 2: Jenseits von Gut und Böse , Xenosaga Episode 3: Also Sprach Zarathustra, Xenoblade Chronicles, Xenoblade Chronicles X, and now Xenoblade Chronicles 2. I have played through each game in the series, and while there is something to love in every game, it has been a bit of a bumpy ride. That begs the question, why continue following the series so adamantly? Mostly it was because the first game in the series, Xenogears (the only one created while Takahashi was at Squaresoft), was such a pivotal game for me. It ties with Final Fantasy VI as possibly my favorite game of all time, and I still routinely go back through it again. However, there was some pretty low years during the Xenosaga period. Those games seemed to, on the surface, combine two of my favorite things, the Xeno series with Friedrich Nietzsche. Sadly I could never really get into them as much as I did the original game. So I was a bit lukewarm on my feelings towards the Operation Rainfall campaign to get Xenoblade Chronicles localized outside of Japan. Fortunately the campaign was successful (and our site exists as a result), because that game turned out to be a JRPG classic that almost lived up to the heights of the original game. Rocky times returned again with the next title, Xenoblade Chronicles X, which even beyond the censorship issues I had a very difficult time enjoying (mostly due to a serious lack of real story). And now here we are with the true sequel to my second favorite entry in the series, will it adhere more to the first game or was X a harbinger of things to come? 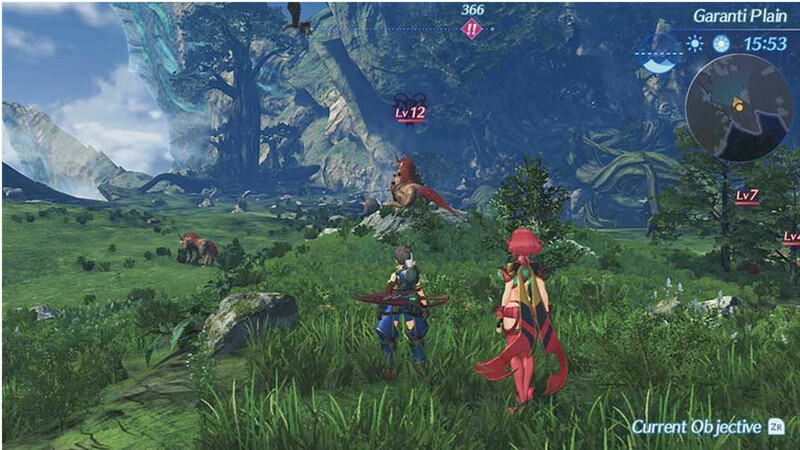 Xenoblade Chronicles was large. The sequel dwarfs it. 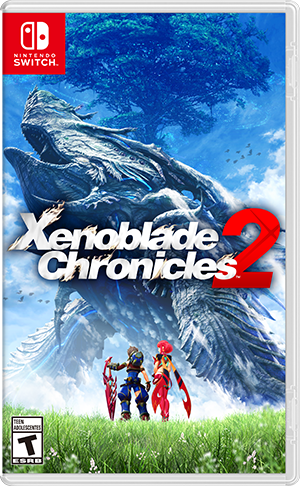 Even within the first hour or two, you can already tell that this game is the true sequel to Xenoblade Chronicles. If anything, the opening is even more story heavy than the first one was. So you might get to thinking that this would totally eschew the open world style of the previous two games. Once you reach Gormott proper, however, those concerns are more than allayed. 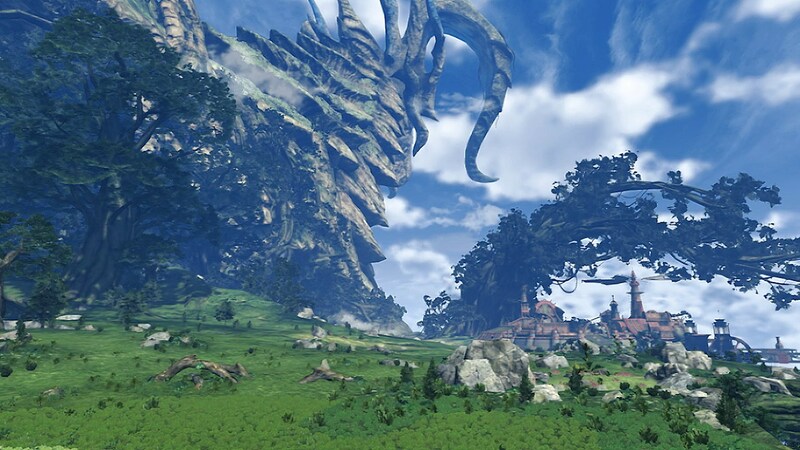 Xenoblade Chronicles was rather notable for having two massive creatures that you could explore and find all sorts of side quests and secret areas that reward you for exploring their massive territories. Not only does this game return to that style, but it takes it to the next level. I don’t want to spoil exactly how many Titans there are to explore, but I can almost guarantee that it’s more than you think there are. This game is a lot larger than either of the previous two titles, but they are also able to avoid the Breath of the Wild problem of feeling empty. Not only are the regions massive and with a lot of secret areas, but there is also a very diverse array of flora and fauna to keep you interested. Nice looking town in the distance, but watch out for a giant ape. The scope of the Titans and the diversity of their creatures works almost entirely for the benefit of the game at large. But there were a couple of early issues that I had and one issue that remained throughout the game. The first early issue I had was in trying to get to the first major town I kept on dying to creatures that were a higher level than I was, and in particular a massive level 90 gorilla. It seemed like I was blocked off at every turn by higher level enemies. But it turned out that they were just trying to teach you to explore more and that the straightest line path was not always the best. They just didn’t actually have any tutorial messages about that, requiring you instead to figure it out yourself. Eventually I went down onto a smaller island structure and found that the enemies there would not aggro onto me as I passed through. That was the second early issue that I had was that enemy aggro plays such a huge part in the game but they don’t take the step that most MMORPGs do by denoting on the enemy it’s aggro value (meaning whether it will attack on sight, attack when you are engaged with another of it’s same breed, or remain totally passive). That is another issue that slowly worked it’s way out since I just learned by experience which enemy types were aggressive. The one issue that remained, and is really my only major problem with the entire game, is that the waypoint and pathing systems are atrocious. While this game was too far in development to be influenced by amazing map systems like Horizon: Zero Dawn, it still should have learned from previous games like The Witcher 3 or Final Fantasy XIV. The map has pretty poor detail, lacks in functionality (although there is a patch planned for this), and is almost useless in making your way to hidden areas or multiple vertical levels. That being said, it was still not frustrating enough to put me off of the game or to make exploring not worth it. There is almost always something special, usually a large treasure chest, waiting for you in all those hidden areas. And, with the hundreds of side quests, it will often pay dividends by knowing and visiting all those hard to reach areas. Putting the Blade back into Xenoblade. There are a lot of area specific side quests, but around 50% of the side quests in the game are about the Blades. Feasibly you could just main line path the game and ignore all the side quests and that would be a valid way to go through the game. Since the enemy experience scales with level differential, it’s even feasible that you would not have to do much grinding of levels if you wanted to just main line the game. However, it is very obvious that this is not really the intended way to play the game. The main story is really good, in fact is much stronger than almost any other open world game (more on that later), but the side missions and especially the ones that are Blade specific is where this game truly finds its identity. Each character has a Blade that is with them throughout their journey and is their companion through thick and thin. That particular Blade can take on various forms, for some of them (really avoiding spoilers here). But typically that character will always need to be equipped with that blade. Early on, however, your characters gain the ability to have more than one Blade equipped on them and eventually can equip 3 at a time. This is very useful for a diversity of roles (Tank, Damage, and Healer), if you so choose, but is especially useful for having a variety of elemental attacks. 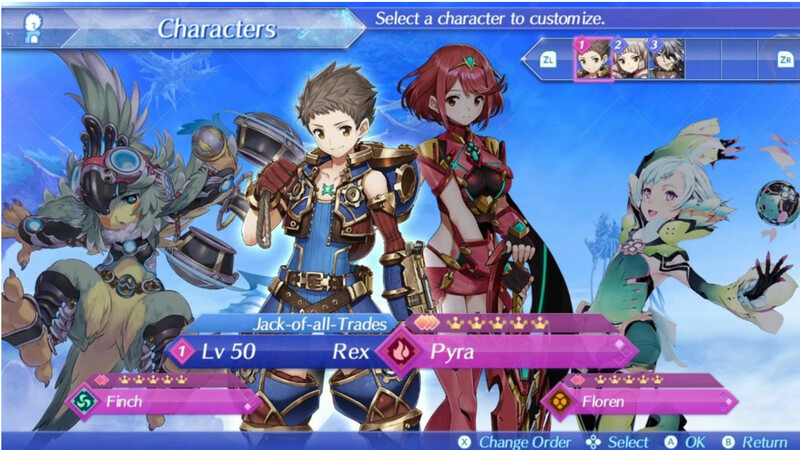 As you can see above; Pyra has Fire attacks, Floren has Earth attacks, and Finch has Wind attacks. You can combine these in specific ways to form elemental Blade Combos. But the way you gain new Blades can vary, some are obtained through very rare (and often, hard to find) side quests or secret areas, some come through major main story events, and then the rest of the 38 total Blades are gained by chance through Crystal Bonding. Unfortunately due to that RNG, I was unable to see every Blade in the game before writing the review, I finished with 30 out of the 38 (which is a lot more than you would typically expect for a standard run). The Aegis is quite unique, but every Legendary Blade is special.